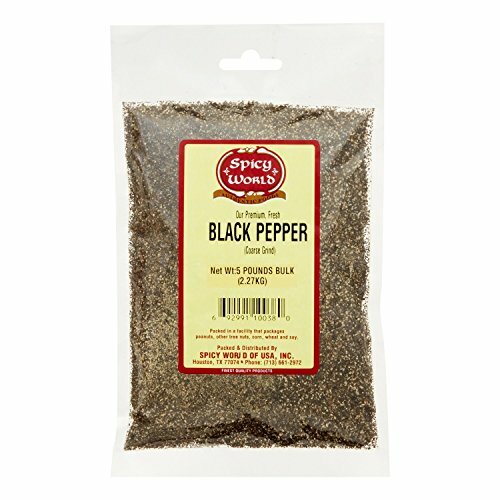 Black Pepper Powder Table Grind 5 Pounds Bulk - Perfect for the table. Foodservice size. Packaged in a 5 pound bag.